Ready to hit the road? Are you ready though? There's a few things which you need to plan ahead of your travel, and getting yourself a passport is one of them. It might seem obvious, but you must have British nationality to be eligible for a British passport. An adult passport is valid for 10 years. You should apply for your first adult passport if you’re aged 16 or over (or will be within 3 weeks) and have never had a child passport. Remember that you can use your child passport until it expires, even if you’re over 18. Getting a passport is easy, but bear in mind it takes some time (and a fee) to have it issued, hence our warning: don’t book travel until you have a valid passport - doing so is at your own risk. You can apply online or by post, and it should take around 6 weeks to get your first UK adult passport, but it can take longer. A standard adult first passport costs £75.50 if you apply online or £85 to apply with a paper form from the Post Office. You will need to fill in an application form, and attach photos with requested supporting documents, you can read about the entire process on the dedicated UK Government website. The cool thing is that after you apply, you can track your passport application. Want to feel like a spy film character? HM Passport Office might contact you in case they need to interview you to confirm your identity. 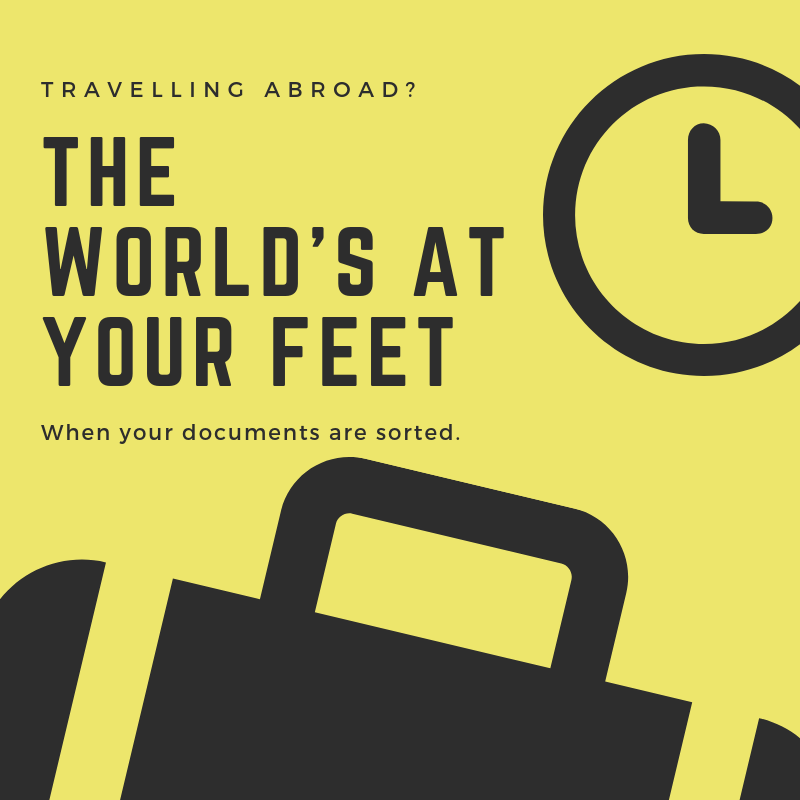 Getting a travel document is a standard procedure and you shouldn't have any problems with it - just remember it's essential to your travel plans, and it takes quite some time. Your new passport will be sent to you by courier or Royal Mail, and you're all set to go!